We're getting into chilly season here in the Midwest. I'm being lazy about the transition this year - I've pulled out all my jackets and coats, but have yet to put away my shorts and sandals (this means my place is a mess with clothing everywhere). 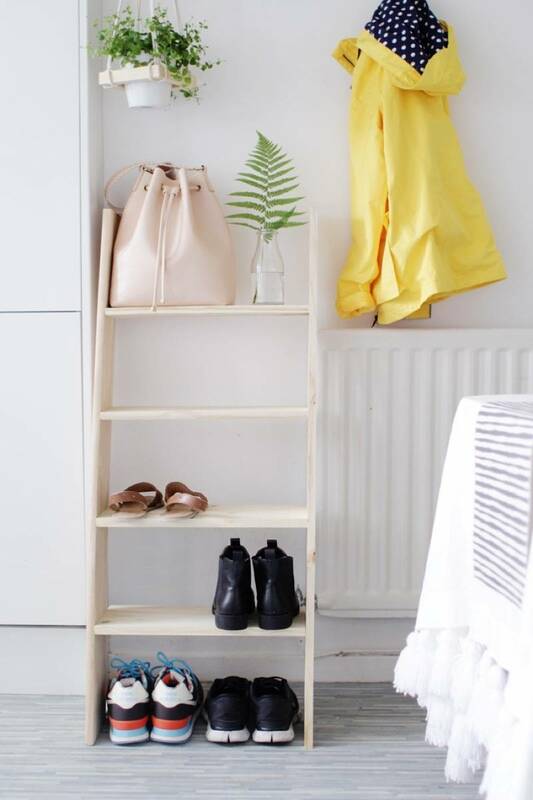 Whether you're part of the four-seasons crew like me, or you just want extra space to hang hats and outerwear, a well-placed coat rack is a thing of organizational beauty. Keep reading to see how we turned an old, worn wood board into this pleasantly rustic DIY coat rack. I've tried multiple techniques for organizing earrings over the years, but dangling earrings tend to be more difficult to organize in an easy-to-manage way. Luckily, this simple DIY concrete earring tree does the trick and makes the perfect spot to hang several pairs of dangling earrings in a way that's easy to grab what I want and head out the door. Bedrooms are meant to be a place of rest and relaxation, but for many of us, our bedrooms do double duty as sitting areas, nurseries, living rooms, storage, etc. 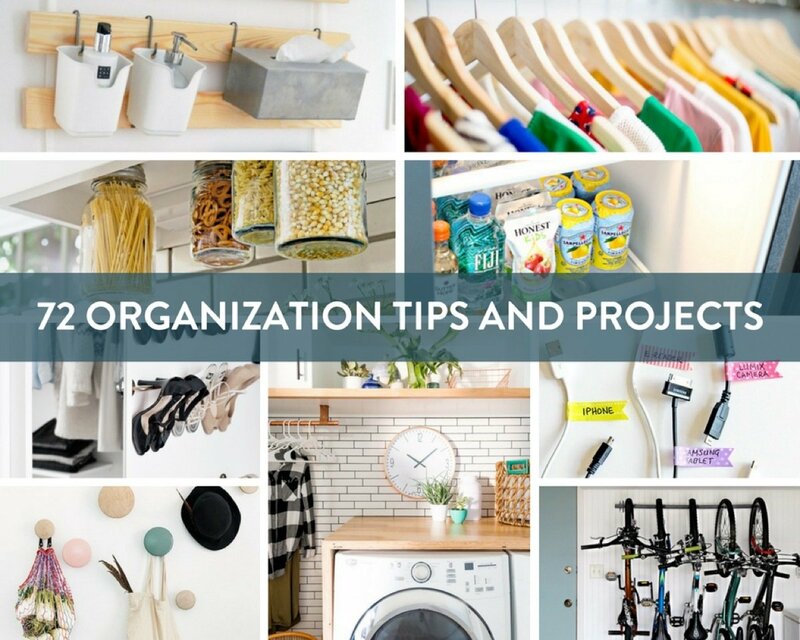 No matter your situation, finding little ways to help yourself relax and get enough sleep could be as easy as getting rid of some things and keeping others. Of course, you know yourself best, so not everything on this list may apply to you. However, it couldn't hurt to try, and maybe you'll find a new way to relax into a good night's sleep! I ran across some disc-shaped magnets on Amazon a while back, and I got to thinking... wouldn't they be perfect for creating a knife rack? And since we were in desperate need of a new one, I got right to work. And today I'm sharing the simple tutorial with you. Click through to check it out! Are you wanting to upgrade your builder-grade kitchen? The good news is you have so many options to upgrade your kitchen without ripping out all of your cabinets. Here are thirteen ways to make a generic stock, builder-grade kitchen reflect your personality. If you're looking for ways to save money, or working on shrinking your environmental footprint, air-drying your washing is a great place to start. Dryers, while they are handy, use a ton of energy to operate. Plus, you might own delicate clothes that aren't suited for aggressive machine drying. A clothes drying rack is a must-have asset for your laundry room - and bonus, you can make your own. Remembering to pack my lunch is a constant struggle. I don’t think I’ve even had an actual lunch bag for years, but it turned out that all I needed to get me motivated to pack my lunch again was a pretty lunch bag. This easy-to-sew stylish lunch bag is great for adults – I used fun fabric to make a lunch bag that I would want to remember to bring, and it didn’t take me long at all.